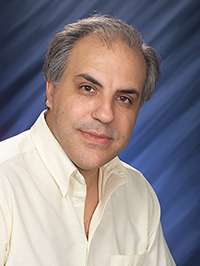 Sotiris Xantheas will serve as Warneke's host and mentor at Pacific Nortwest National Laboratory. Julia Laskin will serve as Warneke's mentor at Pacific Nortwest National Laboratory. Congratulations to Dr. Jonas Warneke from the University of Bremen, Germany, on receiving the Feodor Lynen Research Fellowship for his scientific contributions. The fellowship, supported by the Alexander von Humboldt Foundation, will provide for Warneke to spend 2 years at Pacific Northwest National Laboratory. At the national lab, he will investigate how to control the positive and negative charges on catalytically active clusters after they are softly landed onto a surface. 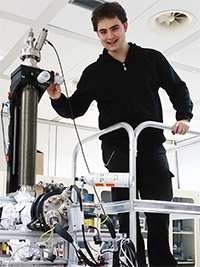 His work will offer new insights on the properties of the clusters, which could greatly benefit fundamental studies in energy storage and catalysis. In his project, Warneke will combine theory with ion soft landing and other experimental techniques at PNNL and EMSL, a DOE user facility. He will work closely with his hosts and mentors: Dr. Sotiris Xantheas, a former Humboldt Fellow, and Dr. Julia Laskin. Recipient of several honors from the Humboldt Foundation and elsewhere, Xantheas conducts theory-based work on the structure and energetics of aqueous clusters and the development of interaction potentials to study the macroscopic properties of water and ice. His early calculations on water clusters are still used as benchmarks for new theoretical methods and approaches. 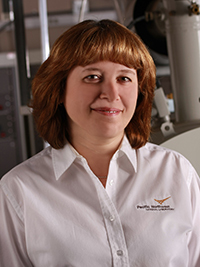 Laskin is a leader in the field of ion soft landing and an internationally recognized expert for her work in chemical characterization. Her studies on ion collisions built a path for precise experimental control of ion deposition onto surfaces. She is known for her work on soft landing of mass-selected ions for preparing and studying novel materials, including catalytically active complexes, metal clusters, and biomolecules. Warneke will arrive at the national lab in February 2016.